Wheaton World Wide Moving | Cummings Moving Co.
Cummings Moving Company is an authorized agent of Wheaton World Wide Moving. This means you get the best of BOTH worlds on cross-country and international moves. To maintain our status as a Wheaton agent, Cummings Moving Company continues to meet the high service and quality standards set by Wheaton World Wide Moving. 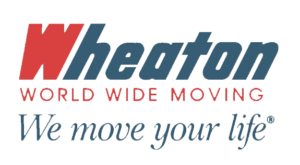 Why Use a Wheaton World Wide Moving Agent? Frankly, it is all about having a LOCAL point of contact and an advocate in the process of your cross-country or international move. As a Wheaton World Wide agent, Cummings Moving Company is your personal moving consultant. We partner with Wheaton to coordinate all aspects of your move, work with Wheaton’ corporate headquarters and with the Wheaton agent at your destination. The fact that Cummings Moving Company remains your point of contact throughout the ENTIRE relocation process make all the difference. When you need a question answered, a change handled, or just need reassurance that everything is going as planned, you simply pick up the phone and call your personal contact at Cummings! Yes, it really is THAT easy! 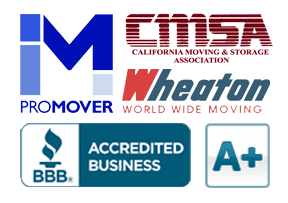 For a FREE Moving Quote simply CLICK HERE or give us a call at 415-387-4000 or 650-692-3000. You are also welcome to Email Us via our Contact Page.